Writing about my birth story has always been something I’ve thought about sharing on my blog, but I’ve never done it. I’ve always worried that no one would care or read it, but these two women inspired me. It also saddened me to remember how difficult my unplanned c-section had been, and how hard and long the recovery was. Difficult doesn’t really even begin to cover it. 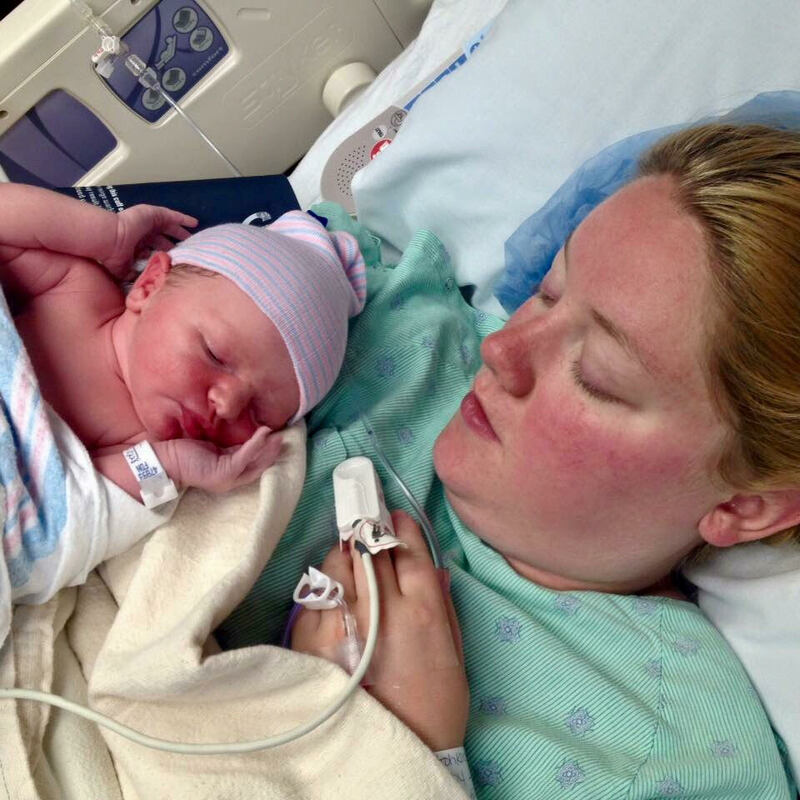 And after reading their posts, I realized that I really wanted to share my story, because a c-section was the hardest thing I ever had to do as a mom, and it definitely wasn’t the easy way out! It’s a good thing that no one has ever said anything to me to the effect of “having a c-section was me taking the easy way out,” because I would’ve lost it! I would’ve set them straight real quick. Having a c-section was the hardest thing I have ever done, and it was the hardest thing I’ve done to date as a mother. No one has ever asked me why I chose to have a c-section, and they were good not to assume so, because it wasn’t a choice. In fact, there wasn’t any choice at all. I wasn’t presented any options or consulted on how we were to proceed. The decision was made for me and I always felt robbed in that way. No one told me how hard it would be to have a c-section. No one asked me if I wanted a c-section or If I wanted to undergo major, life-altering surgery. And no one told me that I would feel the after effects still years later. My son, feet first at 20 weeks. My son was breech throughout my entire pregnancy, feet first from 12 weeks on and he never changed position. At 12 weeks, they said that there was nothing to worry about; there was plenty of time. At 20 weeks, my doctor told me that there was still plenty of time! He would move face down; babies just knew to do that as the due date came near. But my son never did. At 35 weeks I was told that my son had turned head first now, which was good! 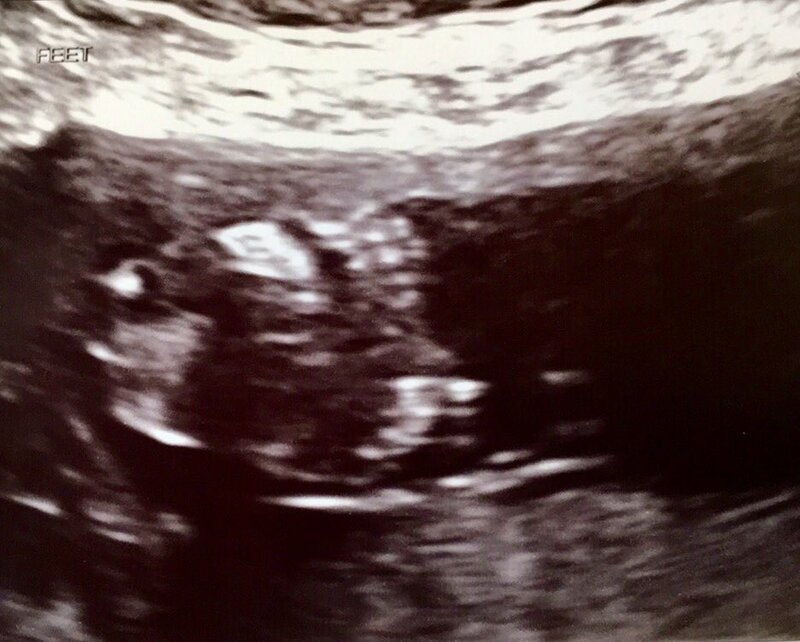 But I wasn’t convinced; it wasn’t confirmed with an ultrasound and I knew better. I had felt my son’s feet at my bladder for 8 1/2 months, now. His skull had been in my ribs long enough to know that he was still playing footsie with my bladder. But, perhaps it was his hands? After all, I wasn’t a doctor. What did I know? At 39 weeks, I was 1 1/2 centimeters dilated. The doctor told me it could still be awhile. Weeks even. That day I was having a small pinching along my lower abdomen. It proceeded during the day, but it only lasted for a few seconds and it only happened maybe two or three times an hour. I was tired, though, and standing was awful; my hips and back were killing me at this stage in the game. I went home and took it easy for the rest of the evening. By late afternoon, I was experiencing these pinches every 8 to 10 minutes. I called my doctor’s office and was told that this, too, could go on for days and that I shouldn’t worry until these pinches were less than five minutes apart. Later that night, I got up to go pee one last time before bed, cause what pregnant momma doesn’t have to pee before bed? I sat down to pee and as I got up, something happened. I had already finished peeing, but as I got up, something splashed into the toilet. I sat back down and sat there for a moment. I thought I was going crazy. I reached down and wiped again only to try to get up and another flush of fluid splashed into the toilet. My water had broke! We headed straight to the hospital and everything happened so quickly once we got there. Only, something wasn’t right. Wasn’t I supposed to be in unbearable pain, going through finger crushing contractions and screaming and clutching at the end of the seat as I rode out another one? Nope, I sat all the way to the hospital with only a few pinches in my lower abdomen the whole 35-minute drive. My son was still breech. He was feet first and he had never turned head down. My water had broke, and after two or three days of contractions, I still wasn’t even 2 cm dilated. We waited for three hours, and nothing happened, nothing progressed any further. My doctor came in at 2 in the morning and told me we were going to do an emergency c-section. I had no choice; my water broke and there was an increased risk for infection. I didn’t get to choose, because if the choice had been mine, I would’ve chosen anything but a c-section. Looking back, there might not have been any other option, and any other option may have put my son’s life in danger, as well as my own. At least I was able to bring my son into this world, safe and sound and without major incident. But no one told me I would miss out on those first few minutes of my son’s life. No one told me I wouldn’t even get to hold my son. I didn’t even get to see him right away, and everyone else did. I was lying flat on my back and I couldn’t go with him and see him. My family got to see him and hold him right away; I missed out on that because I had a c-section. While they sewed me up, everyone else got to hold him and see him, talk to him and calm him down. I didn’t get that. Everyone else went back to my room while they finished with me, and I was so tired. I don’t remember anything until hours later. No one told me I would miss out on all that precious time with my son, in those first hours of his life. Fast forward to 2 weeks postpartum, and I’m taking my son to his newborn pictures. Mostly because I couldn’t bear to take him any sooner than 2 weeks. 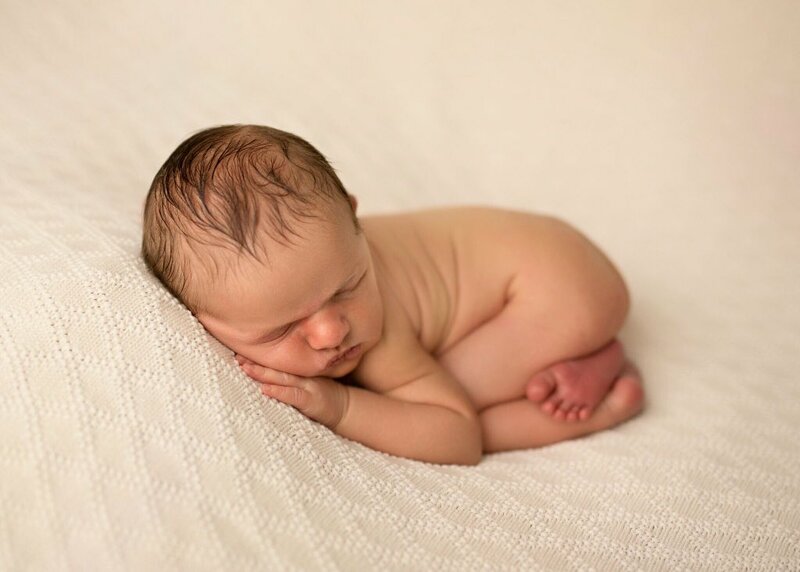 Secondly, because my photographer told me that if I waited any longer, we wouldn’t be able to do any of the cute newborn poses if he wasn’t very sleepy. At this point, I couldn’t even carry my son in his carrier, let along carry him from the car and into the studio. Not to even mention that I wasn’t supposed to carry anything heavier than a gallon of milk. My son was heavier than a gallon of milk! I also still wasn’t allowed to drive, and the person who took me to my son’s newborn photos wanted to be anywhere but there. My beautiful son’s newborn photo. Absolutely worth it. There were lots of other moms there having their newborn photos done that day. Women who were 3-5 days postpartum who had given birth naturally carried their babies into the studio without any help, no problem. They were there by themselves. I even asked one mom how she did it. She said she had delivered naturally, and I felt so cheated. I was so angry! I was still struggling with getting out of bed without help, and the decision for a less complicated birth had been taken from me. The 6 weeks that followed my c-section were the most difficult 6 weeks of my life. I’ve had plenty of surgeries; I know what pain is. This was unfair. It was cruel. It was awful. No one told me I wouldn’t be able to carry anything heavier than my son before they elected for me to have a surgery I hadn’t planned on. No one told me I wouldn’t be able to drive or pick up my son’s carrier. No one told me that every other mommy who had given birth naturally would be bounding ahead of me at only a week postpartum while I still struggled so hard. 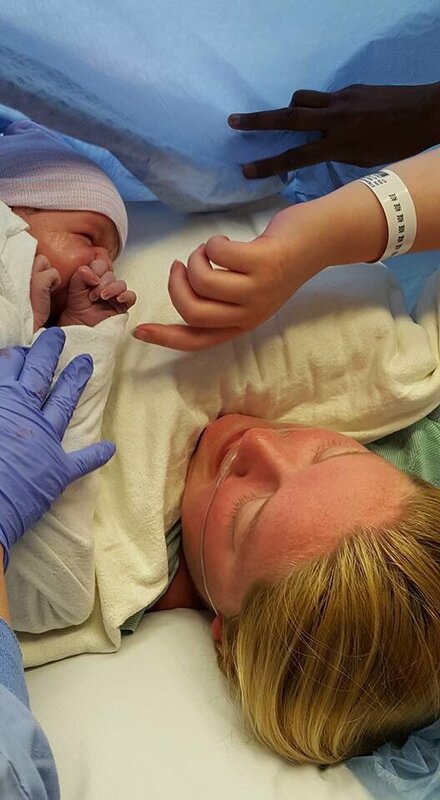 So the next time someone tells you that your c-section was the easy way out, raise hell, Momma! Tell them how wrong they are. Don’t let anyone tell you that your birth was easy, no matter how you did it. You made a baby from scratch and brought them safely into this world. There’s nothing easy about that. I’d love to hear your birth stories! If you’d like to share, comment below. As always, thank you so much for reading. This will be the second post in ‘The Road To Motherhood’ series! If you enjoyed it, please share it. We are looking forward to having our first guest blogger soon! Your support means the world to me. Keep on loving those little ones like only you know how, and keep on being the beautiful, strong women you always have been! Oh, I don't think I could go through 4 more c-sections, I'll be lucky if I make it through one more! Yes, I barely felt anything at all, just a slight pinching. It was the oddest thing!!! Reading this takes me back to my labor and I am glad to be over the pain. I am now a toddler mom and secretly, I still dread ever going through labor again if ever we'll be blessed with another baby. You are one strong mother, remember that. Cheers to Motherhood! I didn't have c-sections with my kids but I will never understand why people wish to insert their opinions. Giving birth is hard. Period. We are all mamas regardless of how we bring those little blessings into the world! Awe thank you so much! Yes, I will forever fear having a c-section again. I'm not sure how likely a natural birth is after a c-section, but I certainly do not want to go through that again. Cheers to Motherhood! We are all so very strong! Yes, this is so very true! We have all brought an amazing life into this world, safely. Period. All the rest shouldn't matter. Thank you for commenting!